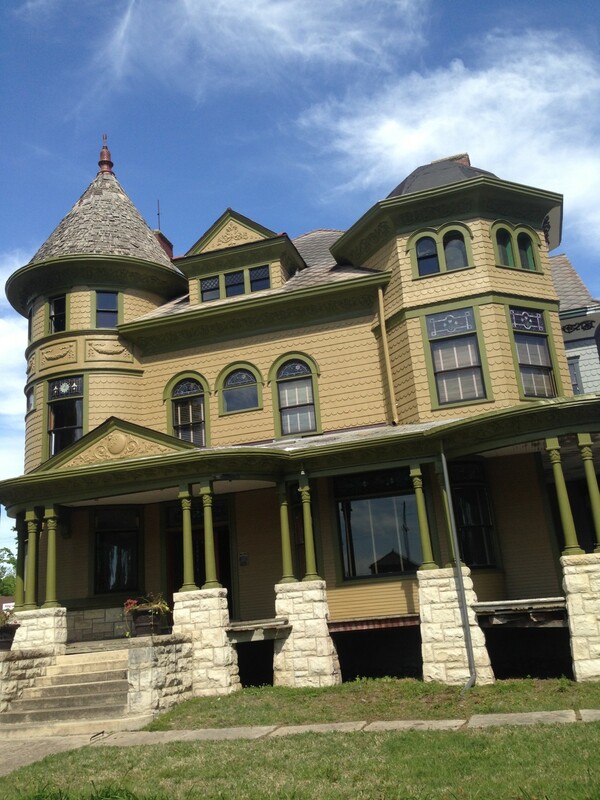 In a previous post I discussed my efforts to paint the 1894 Cross House in a historically accurate manner. From day one, I was curious as to what the original exterior colors were. However, this seemed an impossible question to answer as the previous owner had removed ALL the old exterior paint from the house. 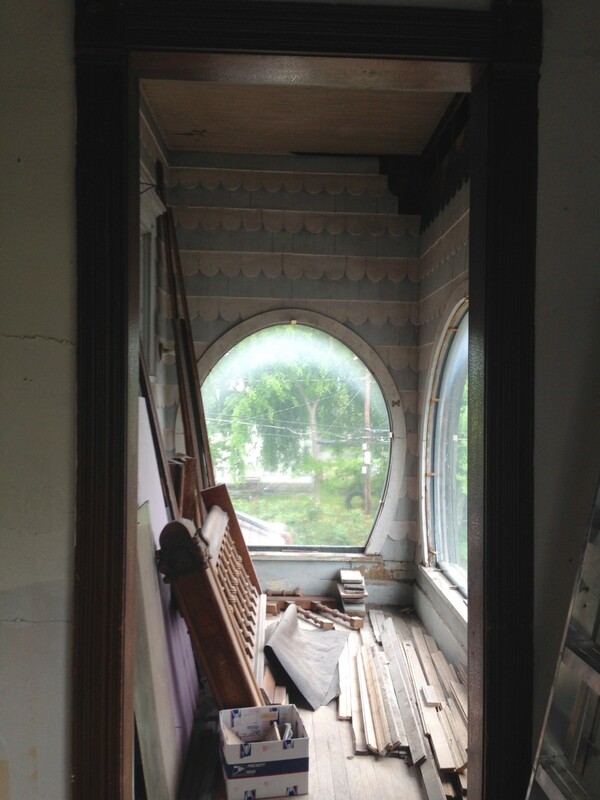 So, 122-years of lead-based paint…gone. Thank God! This is one of the reasons I purchased the house. However, when all the old paint left the house, so did all the evidence as to What Was. I did have an 1895 newspaper article which described the exterior as being painted in “tones of olive” but what, exactly, did that mean? 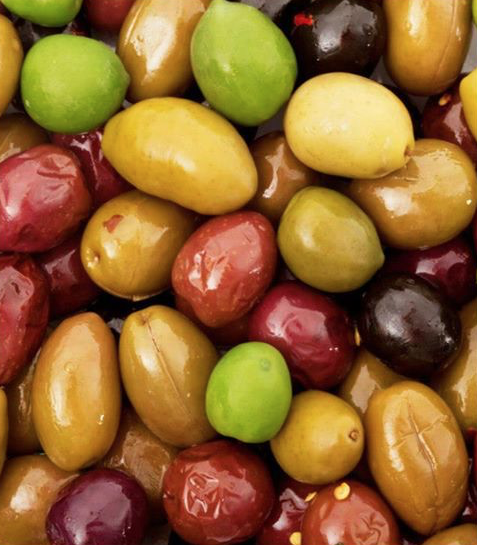 Olives come in a wide variety of colors. Months went by and one day, while working on the house, I was startled to discover a pristine section of the original trim color. Whoee! And this was a green olive. I also learned from physical evidence that the window sashes were painted black. Ahh, black olives. But the wall color eluded me. Then one day I was moving things around inside, and onto the enclosed porch of the second floor. And it struck me. 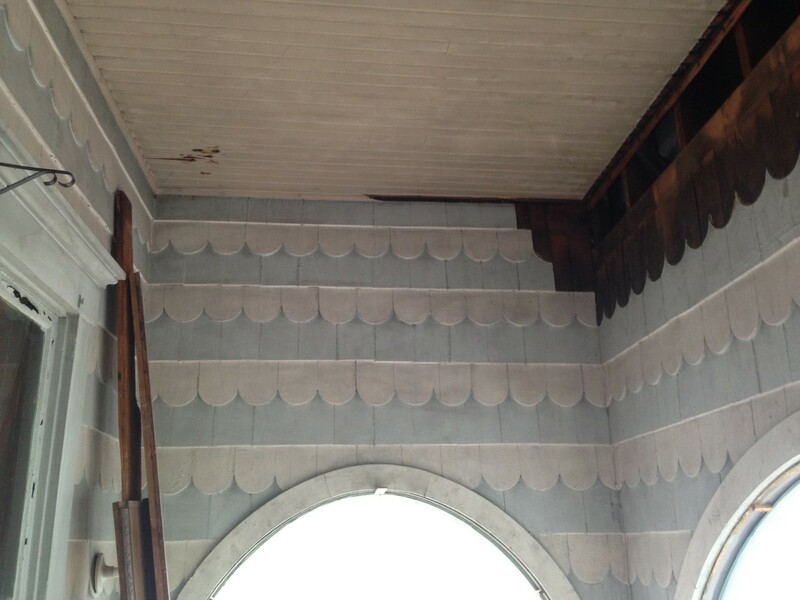 The porch still retained 122-years of paint! 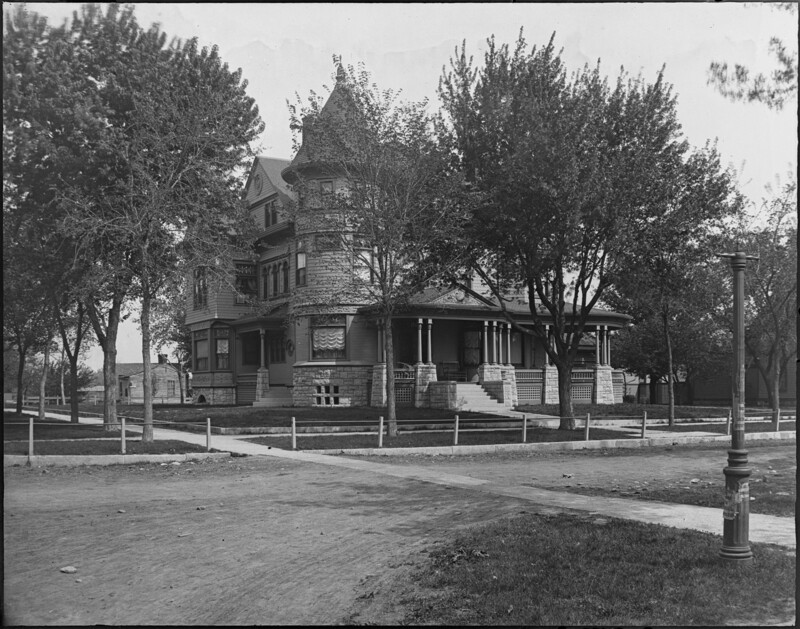 I think of the enclosed porch as inside but it was originally sorta outside. The rear of the Cross House. You can see all the bare wood. The dramatic curved cornices are bare steel. What IS painted was done ten years ago. The second-floor porch. Now enclosed with large sheets of glass. I plan to reopen it. 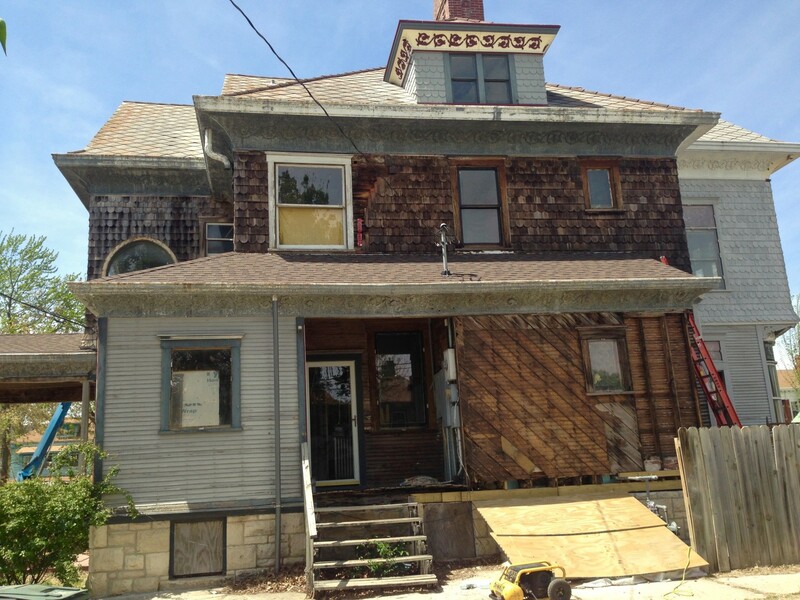 The porch is the only part of the huge house retaining the original exterior paint buried under many later layers. 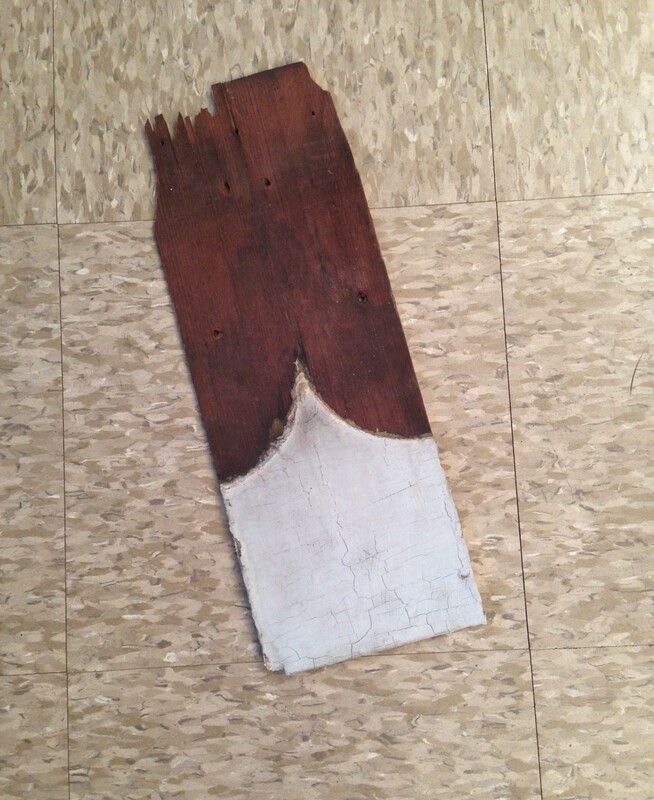 I removed a shingle from the porch, and did a controlled test to reveal what looked like the original wall color. A gold olive! I then began painting the house. And was thrilled with the results. Yet…yet…while I was confident that the olive green color of the trim, and the black olive of the sashes, were highly accurate, I have never been certain about the wall color. I believe it is close, but how close? The awareness has gently nagged at me, and to silence the voice, I decided to find out for sure. So I contacted Welsh Color & Conservation, and Frank Welsh responded. I knew that my inquiry would be, ah, less than enticing as Welsh works on amazing and important historic stuctures across the globe (like Independence Hall and Monticello), and all I wanted was a single redwood shingle analyzed. But Frank said to send the shingle his way! Today, the shingle is being mailed off, and I breathlessly await the results! The shingle. Off to Pennsylvania to be tested! OMG! I want your second floor enclosed porch. I have just the perfect scalloped edge wicker table that will be perfect in front of the window. I would have the perfect place to get completely over the vapors!! I could peruse the Sears catalog for the perfect China for my upcoming tea. You must have the latest tea set to properly entertain the ladies of the garden club. Please Ross, let me dream. Wouldn’t the lost porch ceiling color also be located within the layers of paint? That will be next on my list. I think, think, it is a very pale gold olive. You can see bits on the back porch. How in the world did you become lucky enough to acquire a house with so many clues to once was!? Especially after it was used for so many different purposes!! I think almost all old houses embody a wealth of clues to their past. It helps to have an interest in such clues. And patience helps. This is why I never recommend gutting an old house. WAY too much history gets thrown into the dumpster, and this can never be recovered. Can not wait to see what he says.Have you had time to check the window out in the servants stair tower? Ross, I know your a bit of a nut (good thing you are, since your taking on such an amazing project), so what happens if the colour comes back and it’s NOT the colour you’ve already painted half the house in? Actually, only about 1/4 of the house is painted, pretty much just the West facade. I am assuming the color will be close. If so, I will paint the North facade in the new color. I will switch at the north chimney. New color on the left. And I will repaint the bit of North walls I have already completed. Then later I will paint the East and South facades in the new color. When it comes time to repaint the West facade down the road, I will then use the new color. It is possible to paint X wall one color, and Y wall another almost-the-same-color, and the differing colors should not be obvious because light will hit each wall differently. But, if the new color looks WAY different? Oh baby, I do not even want to think about that! NOTE: I suspect that the new color will be a bit paler than the current wall color. Considering your obsessive (and very admirable) pursuit of historic accuracy, I hope that the new color is a perfect match to the color you used on the west face…you would either have to repaint immediately or go stark-raving mad. Well then, I’m done. I have finished reading every single blog post about Cross. Puh! It was entertaining to say the least 🙂 And I will sure come back for more. Post something for tomorrow? I’m addicted now you know, and it is all your fault! 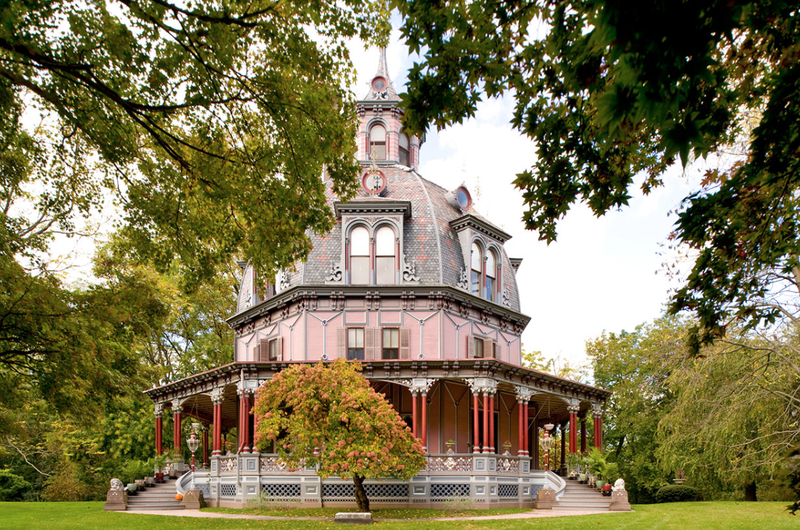 As the vapors have passed, and my dreams are over, I am in total awe of the sight of your fabulous enclosed porch. I’ve not seen such a part of a house. Please forgive my flight of fancy, Ross! Your efforts on behalf of Cross House have not gone unnoticed. I do believe that the past ladies of Cross are with you in spirit, and possibly guiding the houses secrets to provide you with answers. We must be open to souls that remain behind. And to respect what they steer us toward. That is indeed, the book you should be writing. In the meantime I shall continue to follow your progress,and await this latest bit of technology for the proper color and admire you patience for historical accuracy. PS My 6 y/o grand loved the two tone fishtail detail inside your porch. It looked blue & white and she is probably your youngest follower.